CBD Oil Review rates the CW Botanicals line with five stars because it qualifies for the Safety, Quality, Charity, Mission & Innovation Badges. CW Botanicals (charlotte's web) CBD oil products are high quality and cost effective ranging in price from $50-$995. CW Botanicals was created by the same people who were featured in CNN’s Weed special who operate the Realm of Caring organization in Colorado. CBD oil from hemp it is being shipped nearly everywhere in the world. 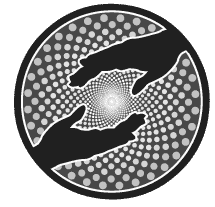 Realm of Caring got so popular that in order to keep up with demand they had to expand to start offering a solution that anyone anywhere could purchase and have shipped to their home. CW Botanicals products are innovative blending with new oils and creating tasty flavors which makes taking this supplement easier on adults and children alike. CW Botanicals mission around social responsibility is quite clear that it cares about helping people over profit making them one of very few CBD companies that actually cares about your wellbeing. Safety Verified – CW Botanicals uses strict internal and external labs to test for pesticides, toxins and heavy metals. These lab results are simplified, linked to batch numbers and made available on their website. 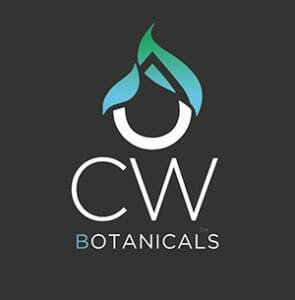 Quality Verified – CW Botanicals uses high quality Co2 & alcohol extracted full spectrum CBD hemp oils in all their products. Mission Verified -CW Botanicals is focused on contributing to the sustainability of the communities they serve. Charity Verified – CW Botanicals supports Realm of Caring which gives families in need access to high CBD strains of medical marijuana. Innovation Verified – CW Botanicals creates innovative flavors combined into new types of carrier oils such as MCT coconut oil. CW Botanicals decided to self-regulate to a higher standard than MMJ and follow suit with dietary supplements, food, and pharmaceuticals by setting their own internal and rigorous quality standards which all their products must meet before being release to their customers. 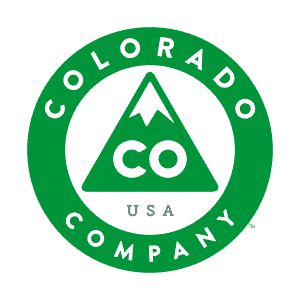 CW Botanicals laboratory is an FDA registered production facility, licensed by the Colorado Department of Agriculture and regulated by the Colorado Department of Public Health and Environment. The production facility follows U.S. Food and Drug Administration Current Good Manufacturing Practices (cGMP) for dietary supplements to ensure that our processes consistently meet FDA guidelines. Additionally, all CW Botanicals products meet or exceed the American Herbal Products Association’s (AHPA) guidelines for microbial content, residual solvents, heavy metals and pesticides. They test all of their products both internally and by third party laboratories to ensure that they consistently meet the strict quality standards to ensure their products are safe for the consumer. 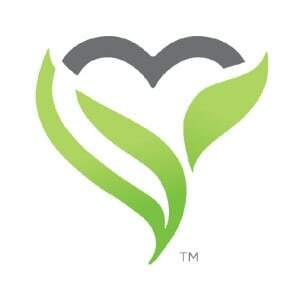 You Might Actually Get Answers – CW Botanicals is backed by Realm of Caring, which unlike all CBD oil companies, can actually speak to you about benefits, dosage, etc. I have used the first bottle of CBD oil in the strongest dosage recommended. I have MS and major pain and I have not noticed a difference with the oil as far as pain management. I do feel better emotionally and plan to continue using the product. Where are the lab reports?!? It’s vital in this industry to prove your product is clear of pesticides, heavy metals, and how the percentages of cannabinoids. If you contact them with the lot number, they will provide you with a single page lab document indicating How much "hemp extract" is in the product, as well as the pass or fail results from all of their contaminants testing. No breakdown of the different components of the hemp extract, and not even the CBD content. I bought a bottle, got the lab work, and returned it the next day. Why would I want a product that I don't even know what's in it? I requested a copy of the tests on the Lot # for my bottle & of course it had the lowest amount of THC allowed. The only problem with that was that as per my pain management doctors urine tests, THC came up & was a very high amount. I never had any problems before & had the bottle with me so I could prove I wasn't smoking pot. I stopped it immediately. Hello, My 17 year old son has chronic anxiety that is not being controlled through rx medication. Has anyone had any luck with the drops for this ? Thank you for any help. Which product did you use and how much? How much do you use and how often and what product are you using? It has help my aniexty an I had it real bad. CW original hemp oil gave us our family back. Until the age of 12 our son suffered horribly from anxiety due to visual and auditory disabilities. We tried many rx but nothing help. He even tried to end his life at 8 years old, saying"God made a mistake when he made me". After a few days of CBD oil he said he felt better. So we increased his dose and he has been so amazingly anxiety free! The one side effect we have yet to tackle is that he has very little appetite. But otherwise, WOW, this product is EVERYTHING to us. We call it Liquid Gold! I have been taking g 50 mg daily of CBD in milk form for about 2 months. I have seen a huge reduction in leg, back and joint pain. I highly recommend. Hello. Could you please tell me if your Oil works for Parkinson's Disease patients.Thank you. Can anyone tell me if they have seen a difference since they started with the oil?? I am in desperate need of something that can help my father he has throat cancer and now we just found out it spread to his tonsils. He has done 3 rounds of Chemotherapy and 1 round of radiation. He no longer can handle chemo. In desperate need!! I would find a dispensary in your area and get consultation from them regarding which oil is recommended for your father. It might be rick simpson oil - look it up. We just purchased,the everyday collection oil mint choc.for our son who has add and impulsive control issues also.we heard great things about this product,we hope this product really works for our 12 year old boy.we just got him off adderal recently,he has a small frame and skinny naturally.,but the adderal would make him not wanting to eat hardly at sll.so,here we are,we are trying to think povitive that this product will help our son.we have tried all other perscription medications by our doctor,but they all had some sort of bad side effects. Have you seen any difference yet? I just ordered some for my 8 yo son, add, OCD, odd, impulse control, and anxiety. He was been on psychostimulants since he 4 and I took him off of everything In October. Praying this natural remedy helps my little guy. We have only been using for our son with identical diagnosis for 1 month (turned to this as opposed to anti-psychotics). I've never seen him so functional. He hasn't lost "him", personality in tact, humor still avail, not a "zombie" at all, but functional. So far miraculous results for us! I'm about to start a moderate chemo regimen for a recurring cancer for the next nine weeks. Hoping to lessen the effects of the chemo with something other than the many pills and poison I'll be offered. Will this help? Thanks for your interest in our products. Unfortunately due to strict FDA regulations I am unable to make claims on our products based on your specific needs, I can however say that CBD is a natural anti-inflammatory and could assist. I can also share our top selling products in each category. Please view the links below:http://cbdoilreview.org/product/elixinol-cbd-oil-extract-x-pen-1000mg/http://cbdoilreview.org/product/endoca-hemp-oil-drops-1500mg/http://cbdoilreview.org/product/elixinol-hemp-oil-drops-regular-300mg/http://cbdoilreview.org/product/elixinol-cbd-hemp-oil-capsules-900mg/https://cbdoilreview.org/product/vape-bright-starter-pack-200-mg/This is also a great link to some pages that you may find helpful https://cbdoilreview.org/cbd-cannabidiol/I hope this helps and if you have any further questions please feel free to reach out. Thanks for your interest in our products. Unfortunately due to strict FDA regulations I am unable to make claims on our products based on your specific needs, I can however say that CBD is a natural anti-inflammatory and could assist.This is also a great link to some pages that you may find helpful https://cbdoilreview.org/cbd-cannabidiol/I hope this helps and if you have any further questions please feel free to reach out. I have just been diagnosed with stage 3 breast cancer that has mets to my bone. I have done a little reading and cbd oil is one of the non medical community recommendations. Has anyone had positive results? I plan to do traditional therapy also. No chemo this time thank god. I did all that 3 years ago. My 6yr old son suffers daily 1-2 very brief seizures. Currently taking 3 different anti-epileptic meds only helping somewhat but not 100%. Would love to try cbd oil but scared to take that step, any advice?? How would I know how much to give him?? Can it taken with his current meds?? I just ordered for my 9yo son. I don't know the dosage yet, but don't be afraid. You can't OD on CBD. Those other things you are giving now, is the scary thing. anyone have any input as to the effects of this has on lymes disease. My daughter has just started Everyday drops. We will have to experiment with dose etc. Not much yet. She has had chronic lyme with all the co-infections for over 3 years. Feel free to email. How were the results using CBD for Lyme? I believe CW's CBD oil is arresting the aggressive Stage 2 cancer I was diagnosed with one year ago.I have chosen not to take anymore chemo treatments and stay with this God given oil. Thank you CW Botanicals for your healing products. I am eight months cancer free & started your oil right after surgery in April of 2016. I just bought some for my wife. The 500mg. She has neuropathy and fibromyalgia so I hope this helps. Anyone else out there have experience with this? I trust this product from my research over any other cbd oil. And after taking it for nerve pain and Asperger's, I'm going to keep taking this and see no need to try any other brands. What they have done for the revolution of CBD has been amazing. Their publicity has shot medicinal benefits of cannabis through the roof. However, I would have so much more respect for these brothers if they would be fair and honest. Give credit where credits due and stop bashing other states who have worked in this industry doing the same thing for years before CW. Where did you get those genetics guys? Eh? Hi! It's so awesome to hear this. How did it end up going when you reduced some of your pain meds? So how are you doing with your pain level now that you have been taking it for 2 years??? Does your son get seizures? Because my daughter has several a day. If so, what strength of CW does your son take? What dosage? Anthony, My husband has the same condition as you. Have you been told which products will help you? If so, can you share your information with me. My husband has so much pain and is desperate for relief. Did you ever get answers? My fathers in the same boat and want to buy this for him. Did you ever hear back Tony? My dad has Advanced prostate cancer and I was going to try to buy this for him. Hi Brandon, my dad too has advanced prostate cancer and I want to try and get this for him. My dad is getting pain in his back now - is this similar to your dad ? I have been taking for two weeks and have reduced my joint pain and swelling drastically! Thank you! The products are very professionally designed, from the products themselves to the branding and packaging.The Drops (I have had the 200 and 500mg MCT drops in Chocolate Mint) are a very clean product. There are some others out there that use the 'blue' label for their drops, and the fact that these CW products are made with a filtered/dewaxed extract for their drops is a great leg-up on the competition.The smell of the drops is slightly more pleasing than they taste, which is why they lost a star.Definite difference between the two strengths in terms of duration of my pain relief. It is tough for me to determine if one was more effective than the other since the pain I have is not consistent in severity throughout the day.I hope this helps others looking into their products! I found them to have good customer service ! On a very busy day with they first started Someone called me back the next day! & another followup call later that day! ALSO the price @ 995 (appox) is only for those that did NOT sign up with them BEFORE this date> & THEY SEND a testing result paper with the product !!! I have seen it !! Everyone that bashes them NEEDS to really think for a second >> If it wasnt for them ALOT of publicity would NOT have been gained for Medical uses for this type of need ! THEY are not perfect !! But I see them on our SIDE !! Very poor, no customer support, have not returned any of my messages in 4 days. They have my money and I have no product.